Our friends over at Spraying Bricks caught up with UK street artist D*Face earlier this year as he recreated the 'Guilty Pleasures' piece from his critically acclaimed 'New World Disorder' show (cover here). 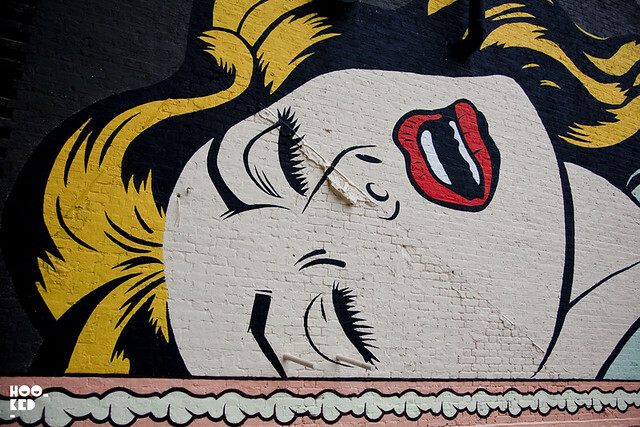 The mural pictured was painted over 5 days close to Spitalfields in East London. While filming the process of the artist working on the piece, Spraying Bricks spoke to D*Face about growing up as a kid in London, his character work and the mural's location. With the editing finished they have just released the short film. Check the clip below.